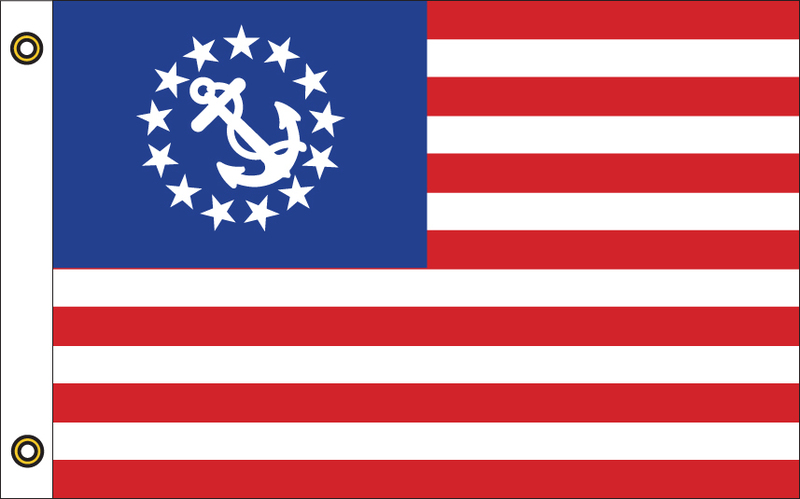 The US Yacht Ensign is looks like the American flag, but includes a fouled anchor in a circle of stars in the canton, instead of the 50 stars of a typical American Flag. The ensign was created by Congress in August, 1848 as a flag to be used by licensed U.S. yachts. 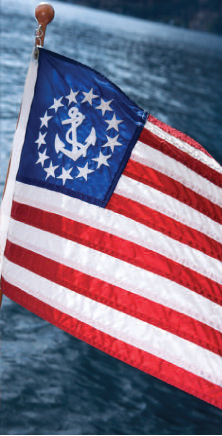 The flag is often used by licensed and unlicensed yachts. Constructed with a high tenacity, marine-grade nylon creating the highest quality, greatest fade resistant flag manufactured for outdoor flag use. This flag features our premium glossy stars and lock stitched sewn stripes. Finished with the highest quality, durable polyester canvas heading which is reinforced with precision stitching and spurred brass grommets.